Well folks we are beginning the 2nd month of 2019 and the world is as bleak as always. A huge chunk of North America is frozen, the UK has absolutely no clue with what it wants, one of Europe’s richest countries is on the verge of financial crisis, a certain communist regime has been accused of spying on foreign citizens and the Oscars will continue with no hosts. Yep 2019 is looking bleak but have no fear because in times like these there is nothing better than a good fantasy novel to delve into. I love fantasy novels maybe it’s the classics like Tolkien or the more modern masterpieces of Brandon Sanderson I just relish being dragged off to a far away world and getting to see somewhere where even if the problems are huge there is always a way to combat them, maybe through magic or divine intervention. 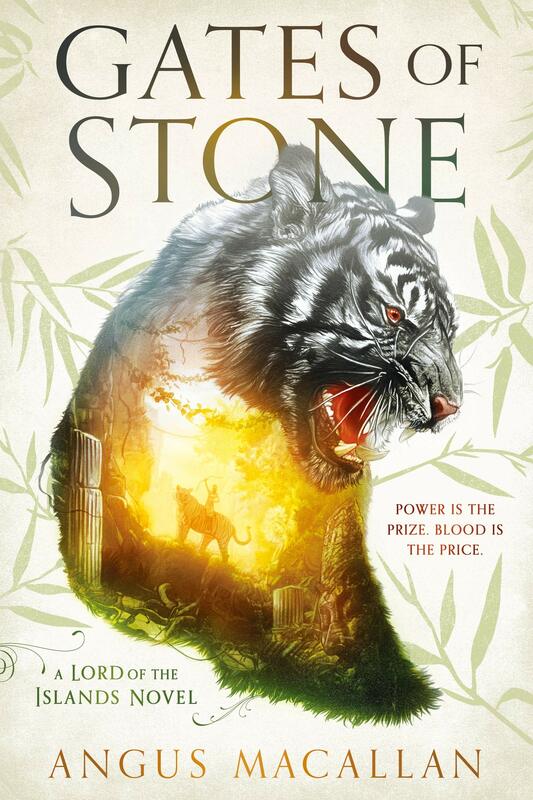 Therefore, I am glad to tell you about my newest Fantasy obsession Gates of Stone. I have seen some people online describe Gates of Stone as Game of Thrones but in Asia and as much as I am a fan of George R R Martin I feel that this analogy would only sell Gates Of Stone Short. Yes, like Martin this book contains a realistic world and yes like Martin there are dark ominous powers at work and yes also like Martin’s world there is a badass terrifying Queen, but these two worlds are completely different and equally brilliant. The cast of characters he gives us are fantastic including a wrathful Queen who is out to take no prisoners in her need to prove that her gender will not define her. Though she isn’t someone we should route for I feel that many of us women and men alike can relate to this Queens need to not be defined by other’s perceptions of her. Also, we have a young prince out for revenge against the man who murdered his pops. Now how can we not love that story, because this one is truly a classic, but reading this version wont bore you, the author a certain Angus Macallan manages to take a tired old trope and breathe fresh life into it. I feel his background leaves him uniquely qualified to create this world. Angus Macallan is a pseudonym for Angus Donald, a British fiction writer and former journalist who is now based just outside London. He was born in China and lived, worked, and studied in Asia for much of his early adult life. He was awarded a master’s degree with honours in social anthropology by the University of Edinburgh, partly based on his fieldwork in Indonesia, which led to a dissertation: “Magic, Sorcery and Society.” He also worked as a journalist in Hong Kong, India, Pakistan, and Afghanistan. This is a man who has truly seen everything that the world has to offer and not only that he has studied other cultures as well as immersing himself in several, this is someone whose voice needs to be heard and I think we can all expect great things from him.